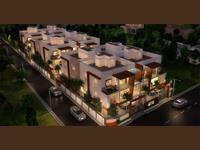 Looking for a property in Neelankarai? Have a property in Neelankarai? Neelankarai is a bustling, contemporary part of East Coast Road with many beach villas & spacious bungalows occupied by high-flying people & expatriates. All major stores & restaurants have a presence in the vicinity . The beach is very busy during weekends with children playing volleyball/ cricket and learning karate , the elders have their yoga classes and there are many serious walkers & runners along the beach side. 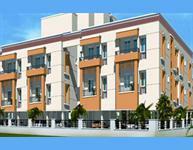 Neelankarai is a very scenic and well-kept part of Chennai and is in demand among the expatriate community. Neelankarai, Chennai is rated 7 out of 10 based on 2 user reviews. Have a good knowledge of Neelankarai? Share it and become a Locality expert. Nahar Ailis, offers spacious 5BHK residential villas, equipped with all the amenities to facilitate the needs of the residents. 1200 sq ft 2 bhk apartments, 5 km away from thiruvanmayioor signal.Just 500m away from ecr road, surrounded by houses & vip villas.
" Individual Resort Villa For Sale with RENTAL Start @Rs.10 K Every Year Increase 5% for 15 Years "